Blue Lines of Kolkata, the first publication by SEARCH, is now available for purchase at amazon.in (Here is the link). 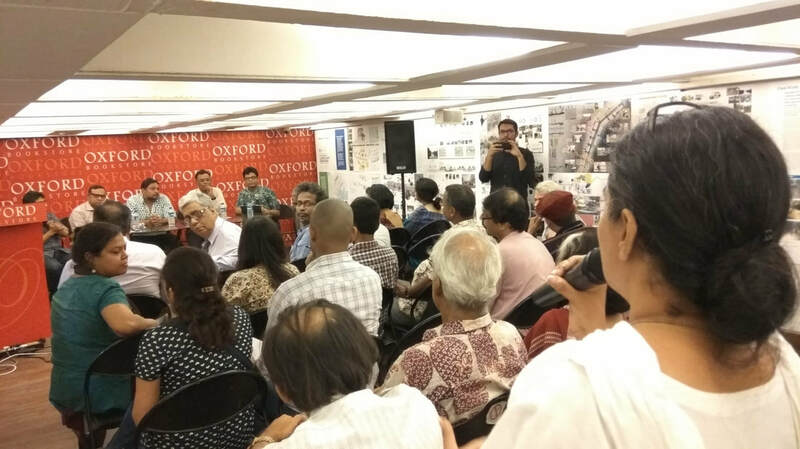 The book is the collection of concerns, ideas and concepts on canals of Kolkata. City's canal network, originally the backbone of the drainage system, today, is in a state of despair. SEARCH Workshop 16, organized by SEARCH in collaboration with IIT Kharagpur in December 2016, recognized potentials of the water network in Kolkata and explored architectural and urban design options to create sustainable and usable canal-side spaces. Blue Lines of Kolkata begins a much-needed introspection by re-looking at this unique landscape component in Kolkata’s urbanism. Proceeds from the book will go to SEARCH, a non-profit trust, for the use of its future charitable activities. Search Workshop 18 in JoLA! 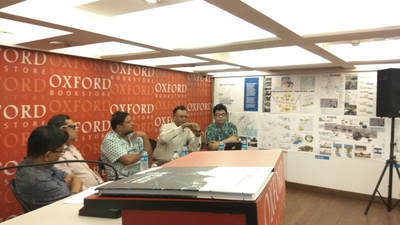 Search Workshop 18, jointly conducted by SEARCH and IIT Kharagpur, along with its ideas and recommendations, was reported in the 57th issue of Journal of Landscape Architecture. SEARCH and Department of HSS, IIT Kharagpur present the Search Workshop 18 at IIT Kharagpur's Salt Lake Extension at Kolkata from 21 to 27 December 2018. 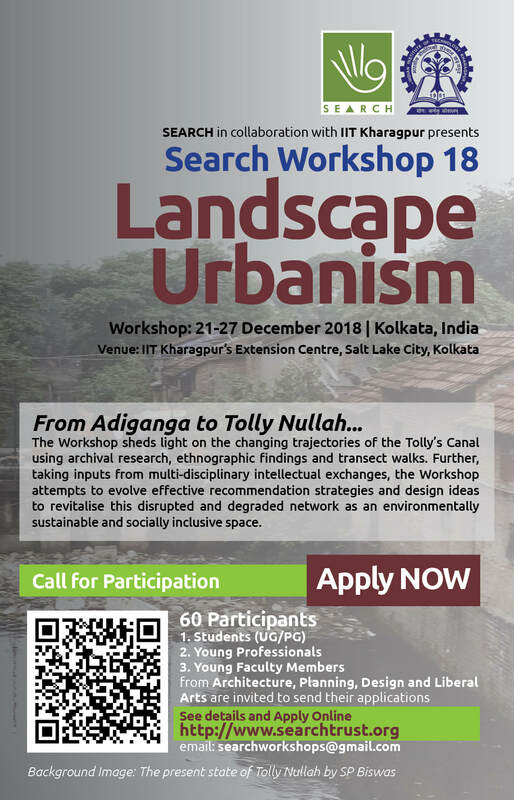 Apply now to be a part of an exciting and enriching studio to explore and co-construct the visions for Adiganga (Tolly Nullah). Presentation by SEARCH's Dr. Suptendu Prakash Biswas at ISOLA Conference on Landscape Urbanism and Transit Oriented Development. 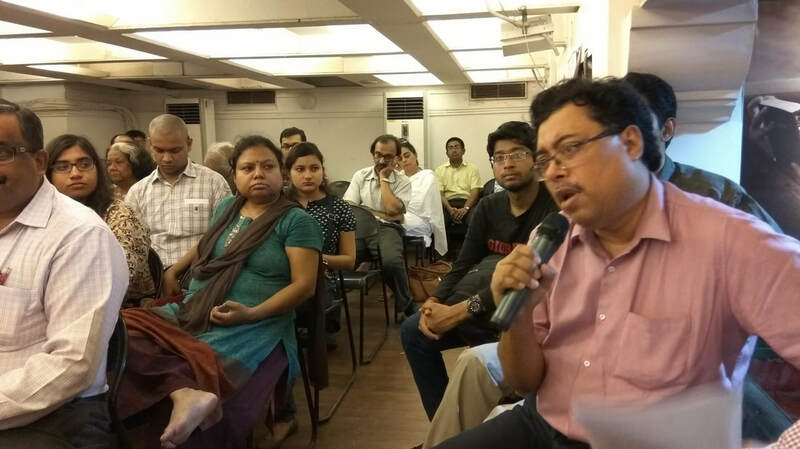 at PHD Chamber of Commerce, Delhi. 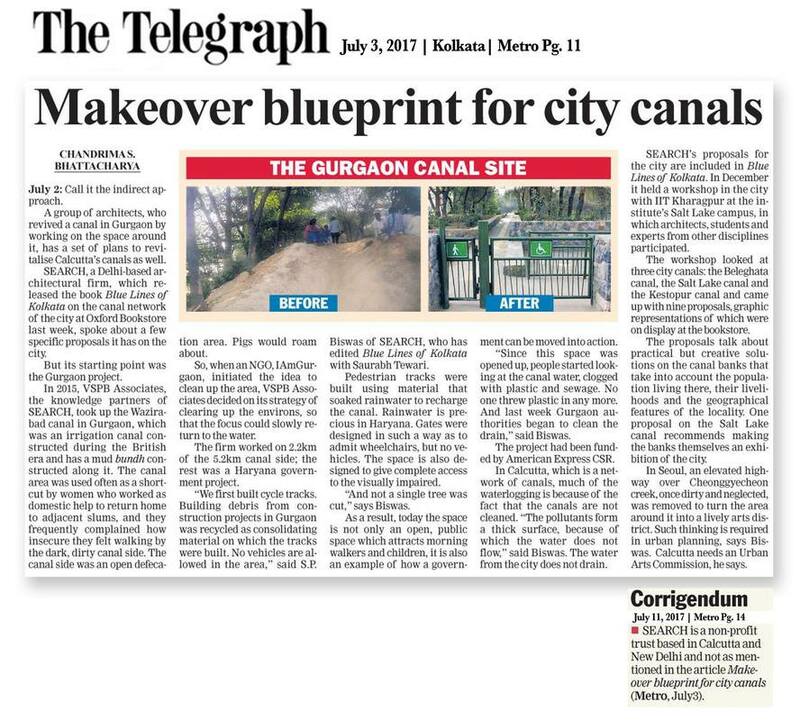 Gurugram Case Study and ideas from 'Blue Lines of Kolkata' covered by The Telegraph. 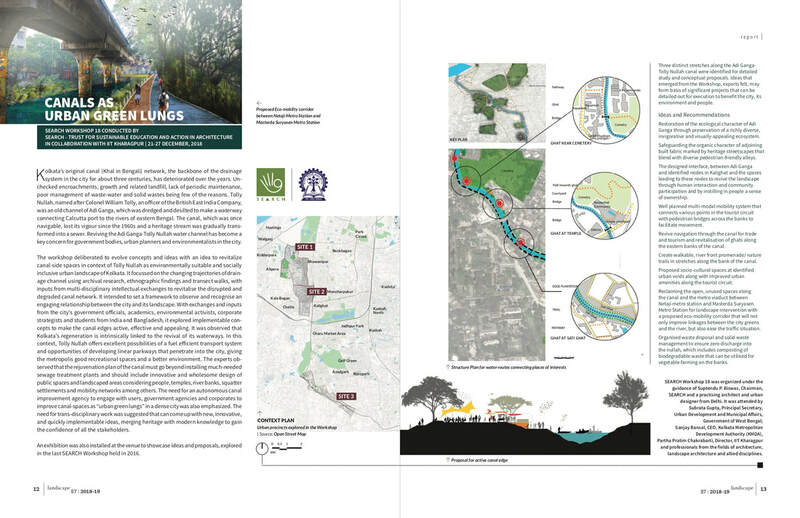 SEARCH Trust is glad to be part of the 'Greening Gurgaon' initiative. 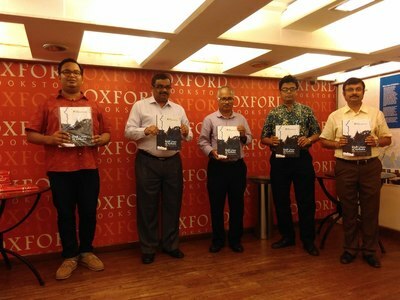 Blue Lines of Kolkata, an edited book, was launched by Prof. Partha Pratim Chakraborty, Director, IIT Kharagpur on 28 June 2017 at Oxford Book Store at Park Street in Kolkata. 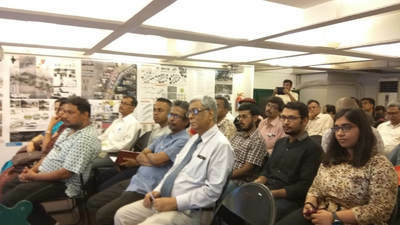 Blue Lines of Kolkata, emerged out of ideas and proposals from the Search Workshop 16 and selected contributions from various experts, initiates a discourse on shifting the focus to Landscape Urbanism as a method to reimagine and rejuvenate the city. 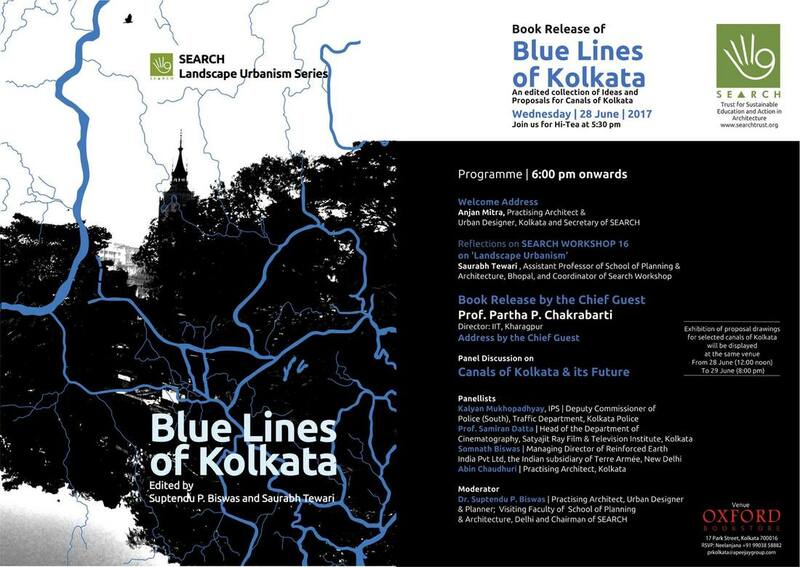 Blue Lines of Kolkata', a book of compilation of articles and works at the Search Workshop 16 on Landscape Urbanism, shall be released on 28 June at Oxford Book Store, Park ST, Kolkata. Prof. Partha P. Chakrabarti, Director: IIT-KGP, has kindly consented to be the Chief Guest and shall release the book. Book release shall be followed by a discussion on 'Canals of Kolkata and its future' by a multi-disciplinary panel of discussants. 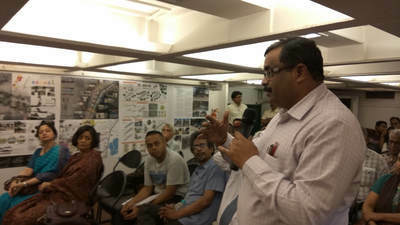 The whole span of the ‘Search Workshop 16’ on ‘Landscape Urbanism’ was a network of learning through exchanges within, with the subject and the context. The emerging discipline of Landscape Urbanism has been attempting to break into the consciousness of the planning and architecture academia and practice for the last ten years. Numerous opportunities for explorations do exist within such a sphere of operation, especially in the developing context of India. Any attempt to imagine 21st-century living, therefore, may very well acknowledge nature, and now urbanity, as the primary foundation of our existence. This idea could only be nurtured and practiced in a setting where informed and passionate minds come together to reposition the human life within the urban environment and vice-versa. 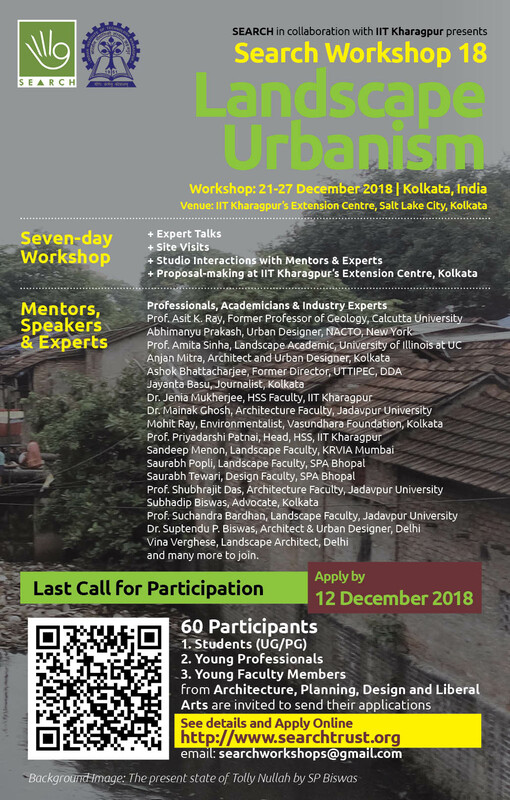 ​As an event, Search Workshop 16 offered a rare opportunity for professionals and students from disciplines of architecture, planning, design, and engineering to come together and initiate a discourse on the emerging discipline beyond its perceived hybridity of landscape and urbanism. No city in India could have been better working ground for the first in the series, but Kolkata. The City of Joy provided a rich contextual challenge for the participants with its layers of environmental and political history, a dense and varied range of users, and consequent urban forms. The geographical representation of mentors and participants enriched the event further, through each one’s academic and lived experiences. Some of them were acquainted with political system but not with the environmental one, and for others, it was vice-versa. Like, with their cultural know-how of the language, food, and ecology, it was home-away-from-home for the seven participants from Bangladesh, who worked seamlessly with the city. 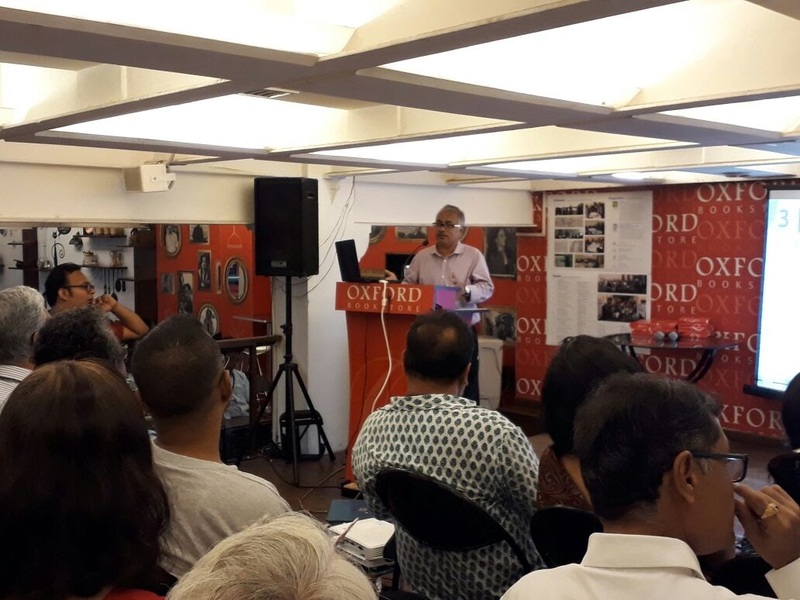 However, participants from some other cities within the political boundary of India found the operational context different from what they have witnessed and experienced before.